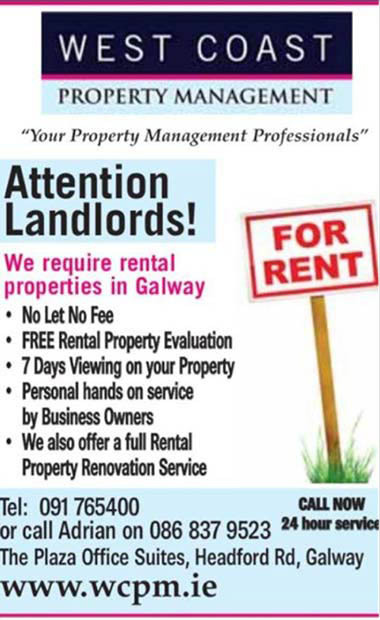 Professional rental valuation and assessment free of charge. West Coast Property Management acts as the point of contact for your Tenants, we are available 24 hours a day should an emergency occur. A dedicated property manager will be assigned to your property and have a hands on approach to dealing with any issues that may arise. As part of the Full management service, we collect your rent on a monthly basis or in accordance with the terms of the contract. The rent is then transferred electronically to your bank account. We will organise and liaise with any required contractors for you and your tenant from our database of approved contractors, ensuring that maintenance works are carried out in an efficient and cost effective manner. Our property Manager will periodically inspect your property. A full inspection is also carried out at the end of each tenancy prior to the administration & return of the security deposit. Any damages are deducted from tenants deposit and property is reinstated.